12 at Midnight; The Hibernia Attempting to Run the Comet Down, 1814, Thomas Whitcombe. Smithsonian National Portrait Gallery. On January 11, 1814 at half-past midnight, the British ship Hibernia fought desperately against an attack by The Comet. Over a year before, in December 1813, the 187-ton Baltimore-built Comet slipped past a British blockade of the Chesapeake Bay and sailed south towards the Caribbean. The ship’s captain, Thomas Boyle, carried a letter of marque from President James Madison—one of five hundred letters Madison issued authorizing private ships to bring the fight to British shipping across the Atlantic. In a little over a year at sea, Boyle and his crew recorded an astonishing twenty-seven prizes. They were on their way back to Baltimore when the ship spotted and engaged the 800-ton Hibernia in the early afternoon of January 10. 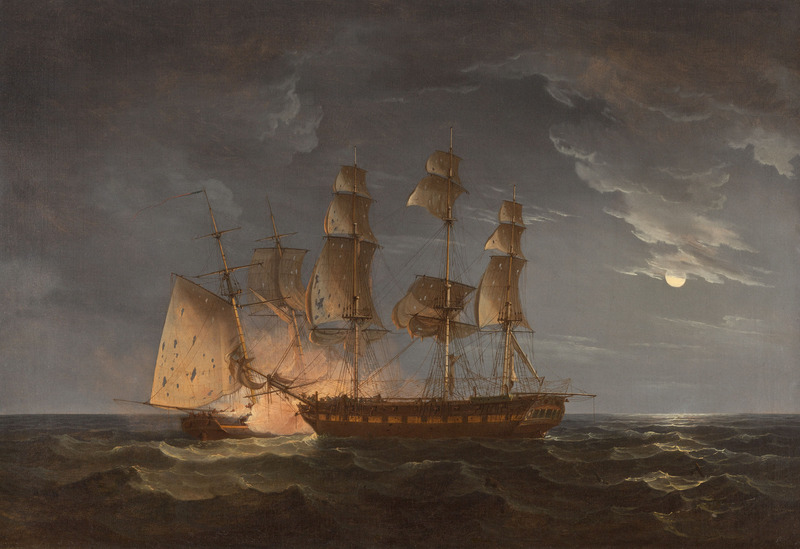 After hours of maneuvers and exchanges of cannon fire that continued into the morning hours of January 11, both ships were badly damaged. Contradictory accounts of the conflict do leave some room for interpretation. British sources, including excerpts from the British ship’s log, suggest the Hibernia was disabled, with only six cannons and a skeleton crew but still managed to kill twenty of Boyle’s crew in a desperate defense. Popular American sources describe the Hibernia differently—a formidable opponent with twenty-two guns and a full crew that left the Comet badly despite Boyle’s brave assault. The battle ended inconclusively before dawn. The Comet retreated to Puerto Rico for repairs before finally returning home in Baltimore on March 17. 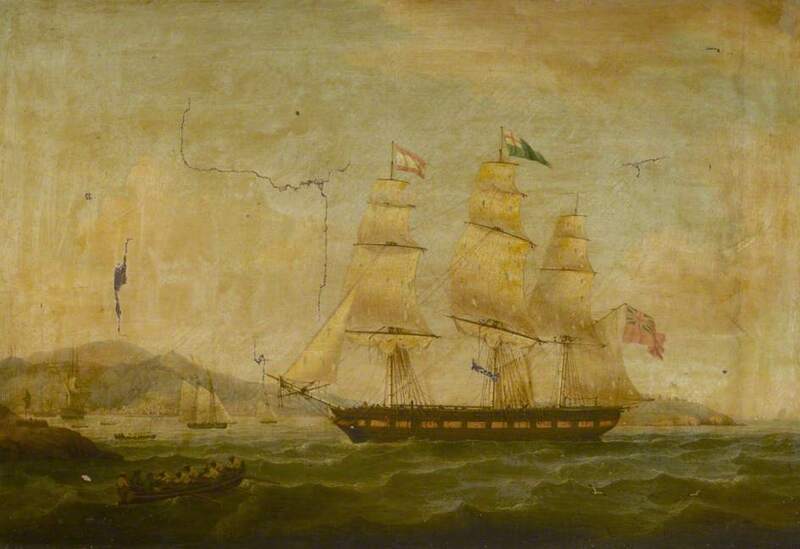 ‘Hibernia’ Beating off the Privateer ‘Comet’, 10 January 1814: Returning to Port, Thomas Whitcombe. National Maritime Museum.